Holistic simply means “HOLISM” or being “WHOLE”. Holism stems from the fact that a human being is not made solely of matter and what is apparent to the human eye. We are so much more than blood, chemistry, bones and cellular tissue. We are beings of energy and spirit as well and holism is the integration of the three to find oneness within yourself and with the Universe, based on the belief that UNCONDITIONAL LOVE is life’s most powerful tool to optimal or holistic well-being. 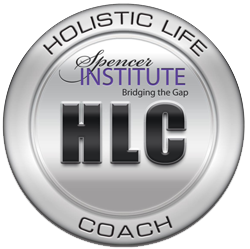 HLC (Holistic Life Coaching) is an integrative method of coaching whereby the coach typically guides their client in a process of healing to include nurturing themselves physically, environmentally, mentally, emotionally, spiritually and socially. Living successfully is living harmoniously and fully balanced. Think of it as enhancing personal development and achieving personal empowerment from a multi-directional approach, mind, body and spirit as one entity, each affecting the other. Most of us go about life in an unconscious or semi-conscious way… on auto-pilot, reacting to an event rather than creating a conscious direction. A coach is a partner who is committed to helping individuals develop and implement their goals, in a state of full conscious awareness. HLC is not therapy, it is training. Together we work to strengthen your Core Self – that part of you who knows exactly who you are, what you need and what kind of life you really want to live. Unlike traditional coaching that focuses solely on goal setting and achievement, HLC focuses on increasing vitality in all areas of your life. More vitality means having more energy, clarity and strength to make choices that support your whole self, not just bits and pieces. HLC is strategically developed to unblock your emotional pathways, liberating your body, mind and spirit… and supports you in crafting a life that you absolutely love. Embrace and live your Life Purpose. Overcome fear and eradicate fear-based beliefs, transforming them into empowering beliefs. Strengthen your Core Self – revive your self-confidence, self-esteem and inner-wisdom. Attract and nurture dynamic relationships. Ignite your passion and bring joy back into your daily life. Revitalize and reclaim your whole self and your whole life. 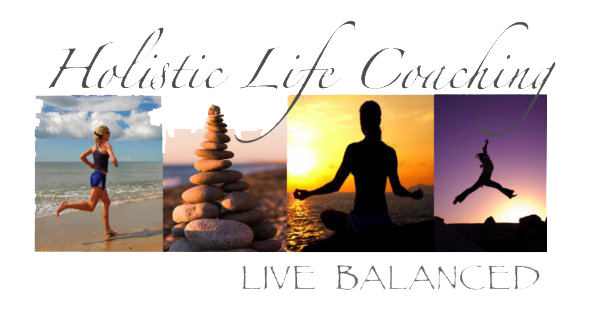 Holistic Life Coaching, works with clients on three levels. On the BODY, or physical level: working with what is happening in your physical experience, your actual reality. To create environments and action plans that support your physical goals and desires for a healthy and thriving body. On the MIND or mental level: working to uncover the fear-based, limiting beliefs and patterns that cause your physical experiences. To create and incorporate new thoughts, beliefs and actions that are aligned with your values, goals and desires. On the SPIRIT or spiritual level: working to realize that we live in a co-creative universe with Spirit, God, Intention, a Higher Power… that invisible connection we feel towards others and the Universe. To assist in making a connection with that Higher Power, your higher self, and to develop a spiritual practice that works for you – within your own religion or faith, meditation or prayer.